Jonathan Paul Katz writing in the Forward must work for the Moroccan Tourist Board, so complimentary is he towards the place. Scandinavia, he finds, is more antisemitic (clearly his tour bypassed Morocco's local extremists). Morocco has rid itself of all but one percent of its Jewish population but is praised for its 'tolerance' and 'diversity', while others excoriate Israel, with 20 percent of its citizens who are Arab, as 'apartheid'. Bizarrely, Katz sees everything western (Ashkenazi) as worthy of criticism. What struck me most is a celebration of diversity that we often do not see in Europe. We are always told to engage with Germany, with Sweden, and with the Netherlands — “safe countries” that look like secular-Ashkenazi Israel, with “Western” values and tolerance of Jews. Yet I, a survivor of anti-Semitic violence, have never felt so threatened as a Jew than I did when walking the streets of Lund, Southern Sweden’s university city, in January. In one day, I spotted and heard more anti-Semitism — in graffiti and conversations — than I did in a week in Morocco. But somehow we’re still told that Sweden and Denmark are “clean and safe” (like Israel), whereas Morocco is “dangerous and dirty” for Jews. We celebrate the Jews who return to Berlin, city of Hitler, but not those who return to Tunisia or Morocco. The very idea that Jews could be and are Moroccans seemed so natural to many locals — in fact, I was told by my host in Casablanca that their grandchildren are “100% Moroccan” — even before they knew I was Jewish. (“And I thought you were Catholic!”) Yet in Sweden and the Netherlands and Norway, the very ability of Jews to integrate is again up for debate. We celebrate without full consideration the countries that Ashkenazim enjoy, yet the countries of Mizrahim and Sephardim somehow remain beyond the pale. So, from Morocco, what I would like to say is this: Tolerance is not the province of Western white people alone. I saw a greater acknowledgment for the intersection of different identities — Moroccan and Jewish, Berber and Muslim, Arab and francophone — than I have ever seen in much of the West. Yes, Morocco may have safety issues. Yes, the exodus of Morocco’s Jewry looms large. Yes, Morocco’s support (alongside many Jews’ support) for the Palestinian cause leaves some pro-Israel Jews queasy. 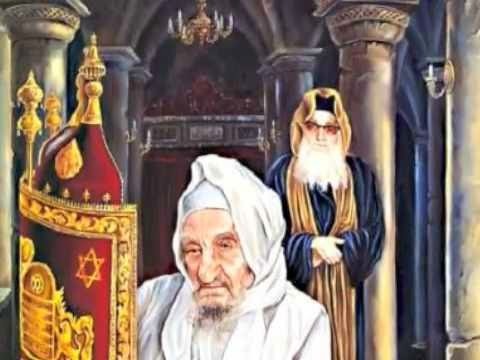 But Morocco is in the midst of achieving something that many European countries have not yet started: the idea of a Jew as part and parcel of the country’s heritage. The Forward has a "leftist" pro-Obama political perspective and agenda. Katz writes according to the pre-set agenda. As far as comparing Israel and Scandinavia, I see little similarity other than irrelevant facts like Israel having a tramway in Jerusalem and many Scandinavian cities having tramways. I find this article insultingly stupid and ignorant, also as an Ashkenazi. As someone who has been in Morocco recently, I'd say the article is true and I certainly don't work for the Moroccan tourism office. This has nothing to do with Ashkenazim, but with what Europe has become -- or reversed to. Ask a Jew of Malmo. Sure, there are rabid antisemites in Morocco, but most seem to be able to put a lid on their feelings. There are also rabid pro-Palestinian activists but is so happens the worst of them all is a Jew, named Sion Assidon. But on the other hand, the kind of insults I heard over the Israeli waves recently would not be permitted there. Moreover, there is more in terms of Moroccan Jewish culture in Morocco than in Israel, including history articles and books. There is no shame in admitting that some people are making progress. So far Morocco is the only Muslim country that has emancipated its Jews. When Ashkenazi JStreet want us Israeli Jews to go back to being a "Protected" minority. The Ashkenazi connexion I am the one adding, not in the article. J street was founded and funded from the beginning by political operatives close to Obama. Its purpose from the beginning was to support Obama's anti-Israel, as the jstreet leader, Jeremy Ben Ami made clear. This is also clear from the fact that the first Jstreet convention after the election of Obama had the head of the CIA at the time, James Jones, as a speaker. Jstreet also gets funding from Iranian lobbyists in the USA [Trita Parsi etc]. Jstreet is not an organization working for or on behalf of Ashkenazim but of long-standing anti-Israel interests in the American foreign policy establishment, now led by Obama. Now most American Jews are Ashkenazim and so it would not suprising to learn that most members of Jstreet are as well. However, one of the leading scribblers in the pro-Obama "pro-peace" camp is one Peter Beinart, whose grandmother came from Egypt [Beinart is typical American scribblers who work to shape public opinion on behalf of the administration]. As to the more pro-Israel outfit, AIPAC, I am sure that most of its members are Ashkenazim too. The tragedy is that American Jews are typically ignorant of Jewish history, traditions and even of the Jewish religion. The ignorance infects part of the "rabbis" too, who find themselves sometimes supporting Obama and/or State Dept policies against Israel. Yes, it is a bad situation. But what can we do to explain that these people --including some of the rabbis--- are ignorant about relevant areas of Jewish history. You are correct that many US Jews don't seem to know Jewish history - and certainly Marcia Freedman did not seem to have grasped the abject status of the 'dhimmi' Jew under sharia law. We don't know what Peter Beinart was thinking as she talked - he didn't seem to be nodding in agreement - on the other hand, no JStreet leader condemned what she said. In these days and time anyone who can read knows that "protected minority" status means serfdom. "Protected minority" status is a joke of course, and was so under the Ottoman millet system, under the dhimma throughout the Islamic domain, and likewise in the new non-Muslim states formed in the late 19th century and after WW One out of the Ottoman and Habsburg empires in eastern and southeastern Europe. But on the problem of people like Maria Freedman and Beinart, they do not especially think for themselves. They are paid to scribble and formulate concepts, however ridiculous, that may be useful at a certain time for administration policy. Here are the walls of the American echo chamber that resound with the "multicultural world" of 14th c. Spain. Inspired by the ebb and flow of Islamic, Catholic, and Jewish influences prior to the Reconquista (Reconquest) in 1492, this multi-media program celebrates seven centuries of a rich and thriving multicultural world on the Iberian peninsula. Intense mystic traditions, resulting in a glorious mixture of influences—Sephardic, Andalusian, Flamenco, and more—made this a distinctive era, and it is celebrated in music, dance, poetry, and visual arts, in a program written by Joseph Horowitz and Antonio Muñoz Molina. The PostClassical Ensemble (PCE) is an experimental orchestral laboratory based in Washington, D.C. The artists of PCE are joined by pianist Pedro Carboné and flamenco artists Sonia Olla and Ismayel de la Rosa. The program is conducted by Angel Gil-Ordóñez, who founded PCE in 2003 with Joseph Horowitz. Recommended for ages 12 and up. The multicultural view permeates an American view of history that even the Spanish Government does not take. So sick of stupid articles like this. This guy is so obsessed with ashkenazi jews and trying to call ashkenazim white it is pathetic. Ashkenazim come in many colors. Some are brown and are clearly more of middle eastern descent. Others are whiter. Sephardic Jews can be very white too. Even those from Morocco. Not all sephardic jews are brown, many are lighter than Ashkenazi Jews I have seen. This white privilege crap needs to stop.